Quality Street is now re-issued as a 2-CD package, including the remastered original album with an extra CD of B-sides and radio sessions for John Peel and Mark Goodier together with 2 previously unreleased live tracks. The luxuriously packaged set comes with a 24-page booklet featuring extensive sleeve notes by band member Gordon King and rare photos and memorabilia from the World of Twist archive. 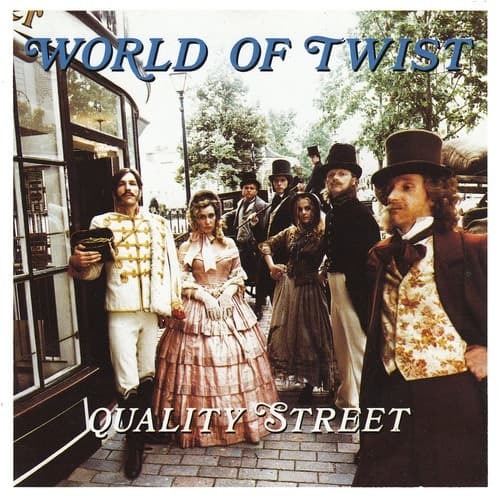 Originally released in October 1991, Quality Street included the singles The Storm, Sons Of The Stage and a cover of The Stones She’s A Rainbow.